The British public have become more willing to see car and plane travel restricted for environmental reasons and are increasingly concerned about congestion on the roads. According to the 2017 British Social Attitudes Survey of public attitudes towards transport, the percentage of people concerned by exhaust fumes from transport (63%) is now back at the level seen in 2005, after falling to a low of 44% in 2012. Public support for the proposition that ‘people should be able to travel by plane as much as they like’ varies according to whether and how it is qualified. The percentage agreeing falls from 67% to 42% if the qualification ‘even if new terminals or runways are needed to meet the demand’ is added. If it is suggested that unlimited flying harms the environment, support for it falls to 19% and disagreement becomes the most common response. However, this opposition has declined over time, from 49% in 2008, to 42% in 2017. With the Government having recently received backing to expand Heathrow airport, Department for Transport officials suggested that ‘people are more concerned about the environmental impact of flights (which are more general) than the impact of new terminals and runways (which are more localised)’. Similarly a majority (37% vs 24%) disagree with the proposition that ‘people should be allowed to use their cars as much as they like, even if it causes damage to the environment’. Officials said that disagreement with higher car taxes for the sake of the environment is the most common position, ‘but there seems to have been a sudden drop in the last three years, to a low of 45% in 2017, whilst support is at a high of 27%’. On the other hand, willingness to buy a car with lower CO2 emissions has risen to 79% from 72% in 2011. Nearly twice as many people (63% vs 37%) perceive urban exhaust fumes as a serious or very serious problem, as see it as not serious or not a problem at all. 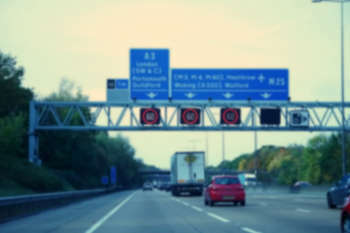 Public concern with motorway congestion has risen recently, but it is perceived as significantly less of a problem than congestion in towns and cities. In 2017, 37% of respondents considered motorway congestion a serious or very serious problem, compared with 56% who were concerned with urban congestion. Nevertheless, the vast majority of people never or rarely travel by train, or by bus. While the percentage of people who never use a bus (43%) is higher than that people who use a bus less than once a week (30%), the percentage who never travel by train (32%) is considerably lower than the proportion who use trains infrequently (56%). The latter percentage has reduced from 46%. Johan Herrlin, CEO at transport data firm Ito World said that with attitudes towards urban mobility changing rapidly it was not surprising to see an increased willingness to embrace public transit and shared mobility services over private options.